These hats are cute, but even cuter with a pet head under them. 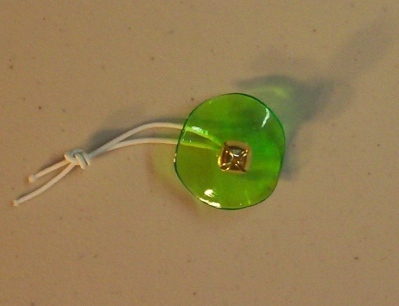 This one has a cute gold toned ringing gold toned bell. 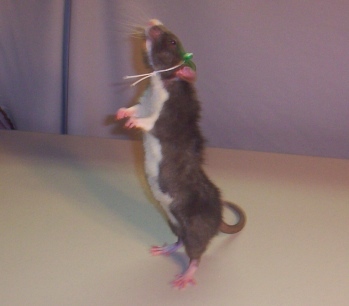 The hat attaches to the Hamster or Gerbil's head with elastic. The elastic is adjustable by moving the knot in the extra long elastic and trimming to the size of your pet's neck. 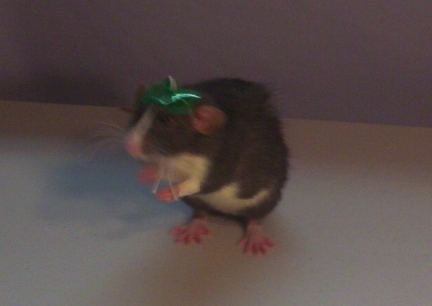 The elastic is white but can be darkened for darker colored pet by using a permanent marker...just wait for the ink to dry before putting the hat on your rat. Our animal items are not refundable and are non refundable. If there should be a problem with craftsmanship, we are happy to repair or replace the item. We will use fabrics as close to the original as we have. Thanks. THE PHOTOS OF LITTLE MAC WEARING A HAT LIKE THE ONE FOR SALE. IT IS HIS HAT, NOT THE ONE FOR SALE. You only pay shipping on one item per order when you shop with us! Yes, that is right, you only pay shipping on the heaviest item per order....keep shopping!